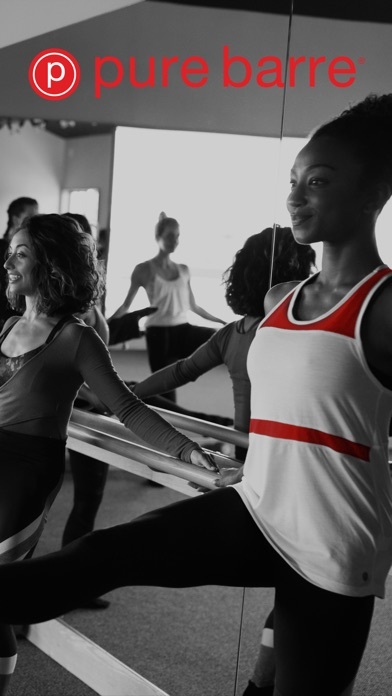 Pure Barre is the fastest, most effective way to change your body. With the Pure Barre App, it’s now even easier to lift, tone, burn! You can view class schedules, make a reservation, get added to a wait list, purchase class packages, and more – all within just a few clicks on your phone. It’s quick and easy to find contact information for your local studio and connect to us on Facebook and Twitter. Download the Pure Barre App for your iPhone today! Visit www.purebarre.com to learn more. This app is very easy to use, and to schedule classes. I do wish you could see your class count as part of the attendance section. This app is frustrating to say the least. There are so many things that need to be fixed. The biggest thing being having to have multiple logins for different locations. This just doesn’t make sense. I understand that each location is a franchise but customers should not have to log in and log out each time to check a different location’s schedule. They need to figure that out on their end and not have customers deal with all of that. Secondly, the registration asks for way too much information. You don’t need to know where I live, my emergency contact info, etc just to register on an app! I normally use the website to do my scheduling and decided to start using the app. I tried logging in with my email and password and it stated log in error. Mind you this is same login Info I use for the website. I decided to change password to see if that would help, but nope the same issue. Why is my online account out of synch with my app log in? The app makes it super convenient and easy to see the schedule and book classes on the go! Love my studio at Pure Barre West Bloomfield. Keep bringing the burn ladies! The button to click to book the class isn’t showing up. Please fix! PLEASE add Apple Pay!!! I would love this app so much more if it had it. I often don’t go to Pure Barre because to purchase a class, I need my card, and I never have it with me because I use Apple Pay for EVERYTHING ELSE. It would just be so nice if I didn’t have to put in my whole card every single time I buy a class. Hello! I love the app, but there are two things that I would love to be added. I would love for there to be a running class count of classes attended. Since reaching 100, 250, 500, etc classes is a major goal, it would be so wonderful to have a count running on our app! Also, I would love to be able to see how many people are signed up for each class when picking classes. (Or how many spots are left). Hoping you take my input, but even if you don’t, thanks for reading! Won't let me book classes anymore?! Please fix ASAP! Every time I try to book a class I get an error message "FAILED! There was an error book in class Pure Barre Classic. Visit Daily Restriction, Visit Daily Restriction," please fix! I’ve had this app for about 2 years and have encountered many issues with it. Currently the app is not working. It only displays the server not working screen! !